There is fierce competition between brokers and the big banks, but one industry veteran doesn’t view the two as enemies. 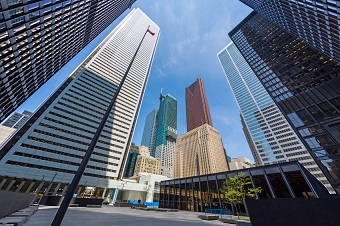 “In the broker channel, monoline lenders and banks alike represent important access to products; so I’m not necessarily one of these people who say we need to win more market share from the big banks,” Mark Kerzner, president of TMG The Mortgage Group, told MortgageBrokerNews.ca. “I look at it as a channel. Kerzner says brokers should view all lenders – including their big bank partners – as customers. The response was to a question about what the channel associations and lenders can do to help brokers win market share from the big banks. According to Kerzner, a distinction needs to be made. “I do think in the context of how do we gain market share from the branches?” Kernzer said.